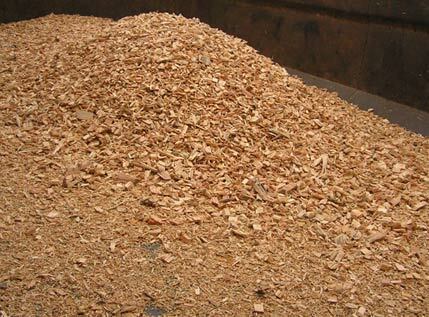 Sufficient storage for biomass is necessary to accommodate seasonality of production and ensure regular supply to the biomass utilization plant. The type of storage will depend on the properties of the biomass, especially moisture content. For high?moisture biomass intended to be used wet, such as in fermentation and anaerobic digestion systems, wet?storage systems can be used, with storage times closely controlled to avoid excessive degradation of feedstock. Storage systems typically used with dry agricultural residues should be protected against spontaneous combustion and excess decomposition, and the maximum storage moisture depends on the type of storage employed. Moisture limits must be observed to avoid spontaneous combustion and the emission of regulated compounds. Cost of storage is important to the overall feasibility of the biomass enterprise. In some cases, the storage can be on the same site as the source of the feedstock. In others, necessary volumes can only be achieved by combining the feedstock from a number of relatively close sources. Typically, delivery within about 50 miles is economic, but longer?range transport is sometimes acceptable, especially when disposal fees can be reduced. Agricultural residues such as wheat straw, rice husk, rice straw and corn stover are usually spread or windrowed behind the grain harvesters for later baling. 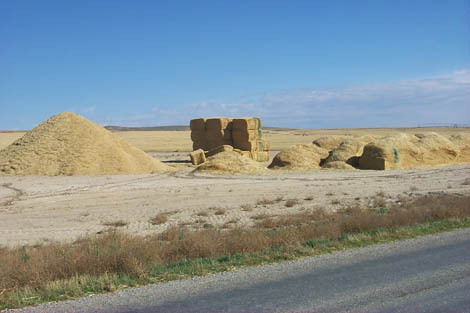 Typically these residues are left in the field to air dry to moisture levels below about 14% preferred for bales in stacks or large piles of loose material. After collection, biomass may be stored in the open or protected from the elements by tarps or various structures. Pelletizing may be employed to increase bulk density and reduce storage and transport volume and cost. Feedstock is hauled directly to the plant with no storage at the production site. Feedstock is stored at the production site and then transported to the plant as needed. Feedstock is stored at a collective storage facility and then transported to the plant from the intermediate storage location. The storage of biomass is often necessary due to its seasonal production versus the need to produce energy all year round. Therefore to provide a constant and regular supply of fuel for the plant requires either storage or multi-feedstocks to be used, both of which tend to add cost to the system. Reducing the cost of handling and stable storage of biomass feedstocks are both critical to developing a sustainable infrastructure capable of supplying large quantities of biomass to biomass processing plants.